Is it official if there isn’t a press release, a blog and a tweet? 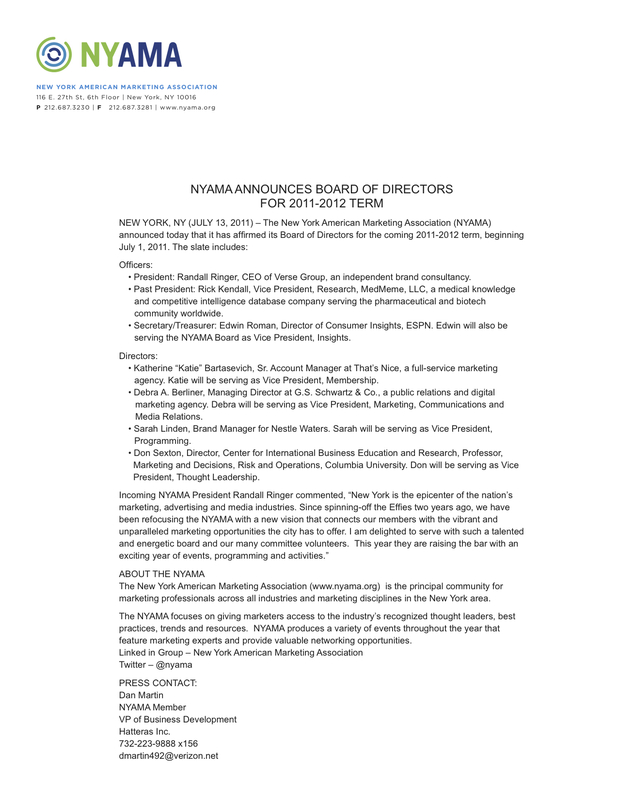 Well, here’s the press release and the blog announcing the new board of the NYAMA, so it’s at least 2/3rd’s official! Stay tuned. Sarah Linden, Lee Hornick and the rest of the Programming Committee have put together a very wonderful set of events for the next 12 + months. Our regular “Meet the Author” breakfasts are continuing each month. 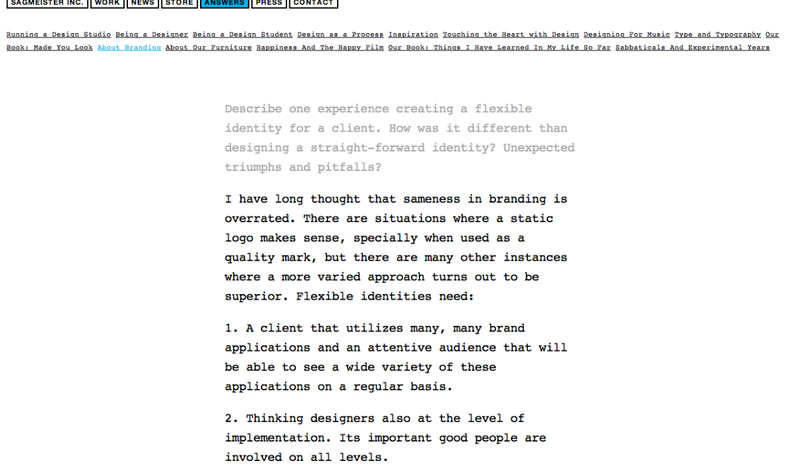 After a brief hiatus — unintended — this blog is back in action. I was recently introduced to the work of Stefan Sagmeister, and his work for Casa da Musica. It is quite astonishing. A single image does not do it full justice. This past Monday there was a memorial service for David Arpin here in New York City. As the hall full of people will attest, David was well known and much loved in the media research business. He was one of the pioneers, pushing and pulling media research first into the digital age and then the internet age. The first person who I knew that had a “portable” computer was David Arpin of Mediamark Research Inc. — aka MRI. I was over his apartment when he came home with this Compaq computer that was roughly the size of a large suitcase. I don’t know how he managed to carry it without breaking his back. He was thrilled with the computer because it was exactly what he needed to help develop the online version of MRI’s database. He had a clear vision of where the future was going and he was in a rush to get MRI there quickly. I didn’t really know what to make of it, other than suggesting that Compaq might want to change their name. David Aprin was the prince of media research. There is no other way to describe his charm, his brilliance and his generosity. Media research isn’t the glory side of advertising and marketing. Measuring how many people visit a website or read a magazine — well, the pioneers in that field are not household names. David deserves to be a household name. For many years I was unaware of David’s role at MRI and in media research. That is because my friendship began earlier than that. We first met in college at the University of Pennsylvania, where he was a year ahead of me. When I moved to New York City after college, David was already here and working at MRI. I was fortunate that David was so generous with his time and company, since I was a broke and starving graduate student in art school up at Columbia. When I was looking to move from publishing, David made introductions and gave advice. And when I began my career in advertising, he was there to gently guide me about the realities of the world — including giving me a lot of guidance on how to code my data requests when I clearly had no clue. I consider myself fortunate to have been one of David’s friends. There were many times when my life was changed for the better by him. So I will now share with you the wish that his family shared with all of us at the memorial. Reach out to someone who matters to you and give them a hug. Reach out to the person you lost touch with and reconnect with them.